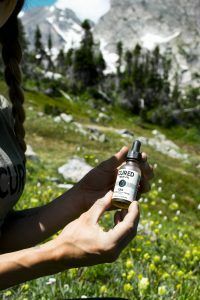 As Cured Nutrition continues to dominate the online fitness industry, the number of influencers sharing anecdotal claims regarding the anti-inflammatory effects of cannabidiol (CBD) is consistently increasing. As exciting as this is to witness, the wealth of research backing each of their assertions is where the true magic lives. 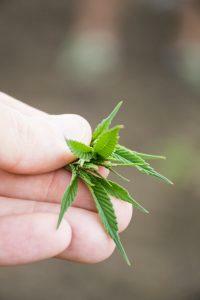 Endocannabinoids And The Immune System. As mentioned in past articles, the body has a collection of cannabinoid receptors strategically located throughout various physiological systems. The two distinct types are specific to CB1 and CB2; and each has a markedly different effect when activated. CB1 is localized to the brain, while CB2 is predominately found on immune cells. For today’s discussion, we’ll be looking primarily at this latter receptor and the role it plays in immune system regulation. Most research conducted thus far has been geared towards the effects of the endocannabinoid system on neuromodulation, with an emphasis on “controlling motor functions, cognition, emotional responses, homeostasis, and motivation.” Even so, cannabinoids have been shown to be equally influential in regards to the autonomic nervous system, immunity, and inflammation. Why is this important? 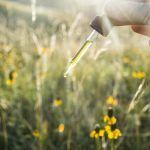 Well, with many of the CURED Nutrition family members boasting clear athletic prowess, much of the collective therapeutic interest has been focused on the performance and recovery benefits of CBD supplementation. Sitting at the forefront, then, is a shared need to reduce swelling, ease pain, and promote cellular rehabilitation after time spent throwing weights around at the local gym or rock climbing in the holy grail of outdoor playgrounds this company is lucky to call home. What’s The Deal With Apoptosis? Apoptosis is a fancy way of describing cell death; and under normal physiological conditions, this is a necessary mechanism for maintaining the body’s delicate state of equilibrium. As we’re transitioning into fall, let’s play with an analogy here: like the trees, we let the dead things drop. As with anything in life, there are times when removing the old “clutter” is imperative for our health and wellness. In our bodies, apoptosis is the equivalent. In fact, it’s responsible for eradicating about 10 billion damaged cells every single day to ensure a balanced state. Both cannabinoids (like CBD and ajulemic acid [AjA], for example) and THC have been shown – in numerous studies – to interact with CB2 receptors and prompt this apoptotic response in human T lymphocytes (which are the key players in cell-mediated immunity). What’s more? 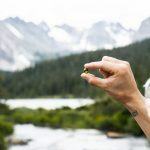 Cannabinoids can also function to protect non-transformed cells of the central nervous system from death, meaning that these substances can perform in what many holistic practitioners have come to recognize as an adaptogenic model. Their specific role is dependent upon which types of cells they’re interacting with; nevertheless, they’re nearly always promoting homeostasis. When working within the CNS (as opposed to the immune system), the pathway shifts to that resembling a commonly observed protective mechanism against autoimmune conditions. Next Up: Cannabinoids Take On Cytokines. Before jumping in, let’s walk through one more quick microbiology refresher. Cytokines are the signaling proteins produced and secreted by immune cells. When prompted, they’re the principal regulating factors responsible for initiating and resolving inflammatory responses. When cannabinoids are introduced, many cytokines have actually exhibited significant population decreases – which suggests a corresponding decrease in levels of cellular-induced inflammation. In conditions of chronic inflammation like that seen with arthritis, AjA (one of the truly remarkable cannabinoids mentioned earlier) has actually “been reported to prevent joint-tissue injury.” Taking this one step further, when studying rheumatoid arthritis specifically, daily supplementation with CBD hindered disease progression. There’s No Such Thing As Too Much CBD. 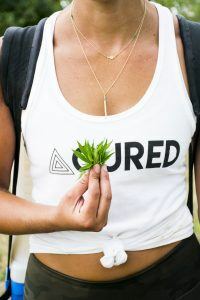 This is only a small glimpse into the effects of cannabinoids; yet it’s nonetheless a mighty argument for loading up your cabinets with a few bottles of CURED Nutrition CBD oil. Across innumerable studies, these plant-powered substances have shown undeniable potential for use as innovative anti-inflammatory agents. The ability to explicitly target CB2 receptors in the body’s immune system opens up the possibility for reconciling immunosuppression and excess inflammation without the worries of toxicity or psychoactive consequences. Think about it: just how often can you say that? Awesome article! I am a figure competitor and discovered your company while at the Arnold Expo this yr. At that time I purchased the cookie dough and some of the spices. I have since “graduated” to the oil and most recently purchased the full spectrum which I can’t wait to try. I am a true believer in allowing nature to heal us! I love this! I’ve been using CURED CBD every day for the last year, and it has tremendously reduced my symptoms related to inflammation. My quality of life is much improved without any psychoactive effects. Thank you Cured family! how soon after taking these cbd products can I expect to feel their impact?